LED, (light emitting diode), lighting has been recognized as a high efficiency, long lasting light source with incredible visual impact. 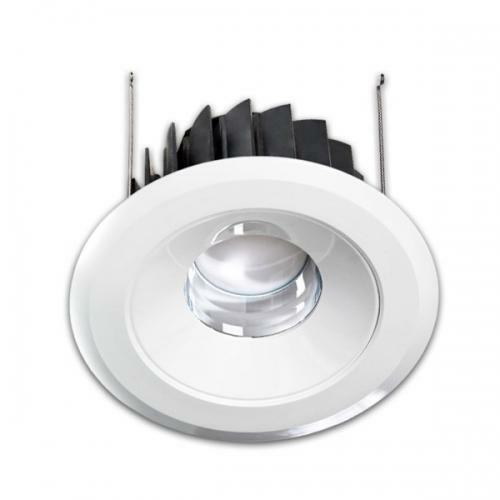 Initially associated with electronic gadgets, circuit boards, and flashlights, LED solid state lighting technology has been applied to the commercial lighting industry with some very promising results. Because of LED lighting’s visual impact, high-efficiency performance and long-lasting attributes, LED lighting has successfully replaced conventional lighting technology in several commercial lighting applications with significant savings in energy costs. LAX Gateway at Los Angeles International Airport have replaced metal halide with an LED system, where they anticipate 75% less energy consumption, but demonstrate a dramatic visual effect. Hard Rock Hotel & Casino in Las Vegas replaced metal halide with an LED system, cutting annual energy costs from $18,000 to $1,900. The British Airways London Eye replaced fluorescent with an LED system, eliminating former maintenance costs and requirements while gaining the ability to produce color light and programmable effects. Bostonian Shoe Stores in the US replaced fluorescent with an LED system, mitigating the need for frequent and costly lamp replacement, while also gaining the ability to easily adjust from “warm” to “cool” white light in its display shelves. 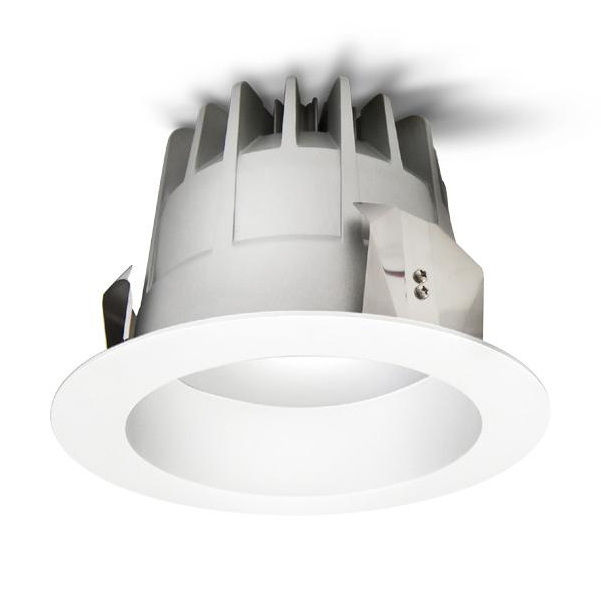 The Pentagon, 4,200 LR24 recessed LED luminaires are planned for installation in Wedge 5 of the Pentagon as part of a major renovation currently underway. In a signing ceremony today at the Pentagon, John J. Kubricky, Deputy Under Secretary of Defense for Advanced Systems and Concepts, and Albert C. Ellet, acting director of the Washington Headquarters Service responsible for overseeing the renovation, signed an intra-departmental Memorandum of Agreement kicking-off the initiative to install LED lighting in the Pentagon. The LR24 luminaires have undergone extensive government testing and business-case analysis, including a preliminary Pentagon installation to meter the fixtures and compare the results to the alternative fluorescent technology. This independent analysis demonstrated a 22-percent reduction in energy usage and improved light quality. The business-case analysis yielded a payback of less than four years. The payback analysis considered energy savings, lifetime maintenance savings, savings from reduced load on the HVAC system, and elimination of hazardous waste disposal fees for mercury-laden fluorescent bulbs. Extensive modeling was also performed to determine optimal lighting design — analyzing the light distribution and spacing to ensure superior lighting and energy efficiency. The Wedge 5 installation is estimated to save 140 tons of CO2 emissions per year. The LR24 units being used for the Pentagon renovation are being purchased from Cree by the Department of Defense’s (DoD) Title III program as a part of its ongoing development program with Cree, and provided to the Washington Headquarters Services (WHS), which oversees the Pentagon renovation program. LEDs produce more light per watt than incandescent bulbs; this is useful in battery powered or energy-saving devices. LEDs can emit light of an intended color without the use of color filters that traditional lighting methods require. The color of the light simply depends on the composition and condition of the semiconducting material used, and can be infrared, visible, or ultraviolet. This is a much more efficient method to produce color lighting effects and can lower initial costs. LEDs can have a relatively long useful life. One report estimates 35,000 to 50,000 hours of useful life, though time to complete failure may be longer. Fluorescent tubes typically are rated at about 30,000 hours, and incandescent light bulbs at 1,000–2,000 hours. LEDs light up very quickly. A typical red indicator LED will achieve full brightness in microseconds; Philips Lumileds technical datasheet DS23 for the Luxeon Star states “less than 100ns.” LEDs used in communications devices can have even faster response times. 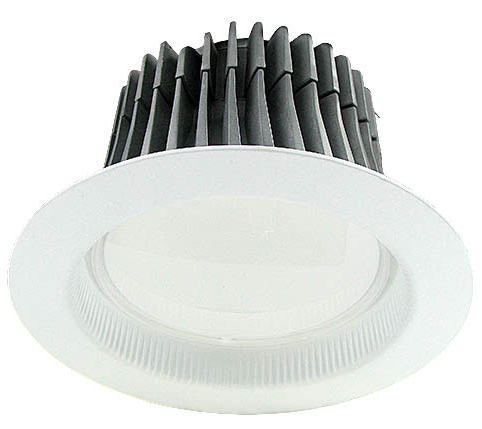 LED lighting clearly offers an eco-friendly alternative to energy-wasting conventional lighting. Because of this efficiency it is predicted that in the next 20 years LED lighting will replace almost all of conventional commercial lighting systems.